WESTCOTES STUDENT ACCOMMODATION LEICESTER - "SIMPLY THE BEST"
Our student accommodation in Leicester is ideally located for DMU / De-Montfort University & LU students. We understand just how important your new home is to you, so we make sure that our Fully Furnished Accommodation give's you a hassle free, comfortable & quiet place to study, relax & socialise. With fantastic sports facilities available just a few minutes walk away with the new £8 Million Leisure Centre in the West End & shops and take-a-ways just down the road everything you could want is within easy walking distance. We provide flats and rooms to rent for working professionals & graduates, which we can provide either fully furnished or unfurnished. They all have great locations with easy parking, excellent access to the Motorways, Ring Roads, Local Bus Routes & Trains, ideal for Professionals that have to commute into town or further-a-field. Please note that these properties are promotional deals and are available on a first come first served basis and once they have gone they have gone! 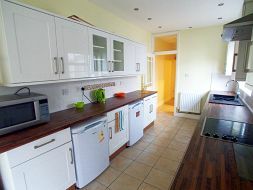 Our Student houses are ideal for groups of friends to share, they are designed to give you all the Space, Freedom & Style you could wish for and are fully furnished with large bedrooms and double beds, 2 bathrooms, designer living rooms with leather sofas & wood flooring, and spacious modern kitchen-diners. Our 1 bed flats are much larger than a studio flat, so you can really spread out and enjoy your privacy & freedom as you don't share anything with anyone else. With your large bedroom with double bed, bathroom, & living room/kitchen in seperate rooms, you can still enjoy your privacy when you have friends come over, and you don't have to sleep with cooking smells around you, which is why our flats are so much nicer than studio flats! 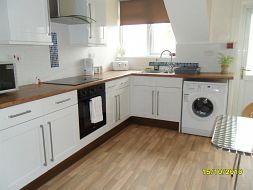 Your fully fitted kitchen comes furnished with a large fridge freezer, oven, 4 ring hob, extractor fan, microwave & washing machine - [no more expensive & boring trips to the laundrette] and in many flats you also get a dinning table & chairs too! $Free Wi-Fi for selected luxury student flats and selected luxury student hosues - dedicated virgin media "upto 50Mb" Wi-Fi. Higher speed options ie upto 152Mb are available for an extra fee. 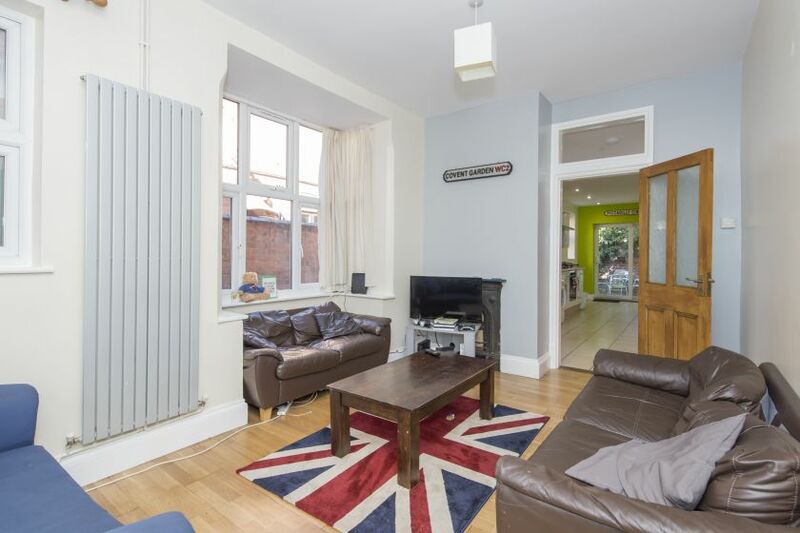 For certain selected luxury student flats we also include a 32 inch wide screen TV provided free of charge, unless space dictates an alternative screen size. T's & C's apply see Internet & TV page for full details. Contract Signing Fees - none#. Tenant Referencing Fees - none. Deposit Protection Fees - none. Inventory Fees - may apply - £50 per tenant. Replacement contracts or contract changes may be charged at £50 per contract. Monies paid to us as a retianer will not be returned to you if you/your group fail(s) to honour your tenancy agreement, and additionally all other rents due and interest on late paid rent as set out in the tenancy agreement you have signed with us, will continue to be owed, until such time as they are paid in full. Occasionally we may allow you/your group to reserve a property by way of paying us a holding deposit - any monies paid for this purpose are none refundable if you/your group fail(s) to sign a tenancy agreement with us, within the agreed timeframe, for what ever reason. See our "terms & conditions" page for more information.